YouTube TV aims to compete with cable, DTH and other TV broadcast Service. The YouTube TV service will be delivered with the DVR, which is never lacking space and is capable of simultaneous recordings. Soon it might be time to say goodbye to traditional cables or DTH services! At an event in San Francisco, YouTube has taken a new step in creating a dominant position in the entertainment industry by the YouTube TV service Revelation. Essentially, YouTube provides TV news, movies, and other programs without the need for a cable or satellite subscription. In addition, another reason to challenge YouTube TV's traditional cable TV player is the offer of a DVR cloud that never runs out of space, and is capable of simultaneous recordings. YouTube TV will provide viewers their own personal DVR account, and with their own personal recommendations, which is displayed when the application is in portrait mode. These suggestions are customized to what you have seen and recorded. In addition, YouTube TV will also allow its users to integrate the service with the Google speaker, a product of Google called Google home. Ironically, the company tried to demonstrate this feature on the stage at launch, but the connection could not be established. 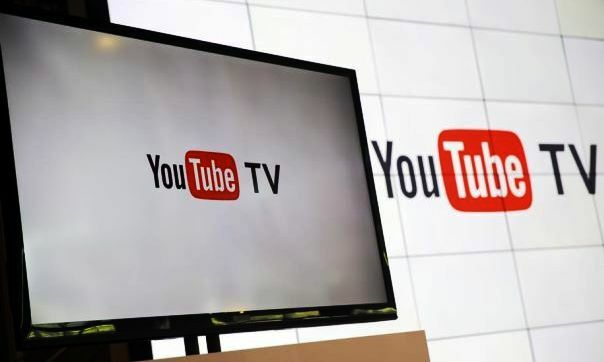 YouTube has partnered with the US broadcaster such as ABC, CBS, Fox, and NBC, as well as sports networks and dozens of popular cable networks. CBS was the first major television network to sign service, with all the other studios also being featured in discussions with 21st Century Fox, Disney and Comcast NBCUniversal, which owns ABC, ESPN and others. "We have decided to create an offer that would give all those times if they can not be lost via YouTube Entrepreneurship YouTube TV," said Robert Kyncl. However, this service can be introduced in those markets where there can be local broadcast channels, so for now, it would be Los Angeles, New York, and Philadelphia. As with the prices of YouTube TV, the company unveiled at the event as they are grouped together for their channels and the prizes, and they look pretty decent. YouTube TV offers a family of six accounts in the United States and is available for $35 per month, which is relativized Rs 2300 and the subscription long-term contract is not required. In addition, YouTube TV also comes with the original YouTube Network series, which gives a small advantage to YouTube TV over streaming portals like Netflix and Amazon Prime Video. Although we do not know when YouTube TV will come to India as there is no timeline for the availability of YouTube network in the country.